Bear Grylls: Mission Survive TV show cancelled by ITV after second series; no season three. Image via ITV. Mission aborted. The Bear Grylls: Mission Survive TV show has been cancelled by ITV after its second season. Digital Spy reports ITV has confirmed it is done with the survivalist competition. Chin up, Bear Grylls fans. ITV has, “… a number of projects with Bear in the pipeline.” When announced, we will let you know. DJ/model Vogue Williams won the first season of Bear Grylls: Mission Survive. Alex Scott, right-back for Arsenal in the FA Women’s Super League and the England women’s national football team, won the second series. Also competing in season two were: Samantha Barks, Michelle Collins, Jason Gardiner, Chelsee Healey, Neil Morrissey, and Stuart Pearce MBE. Bear Grylls: Mission Survive TV program cancelled by ITV; no season three. Image via ITV. 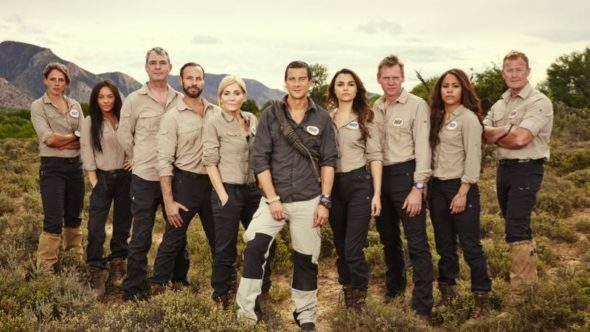 An ITV spokesperson told multiple outlets: “We had two exciting series of Mission Survive, but the commissioning team continues to refresh the channel’s entertainment portfolio and so we have taken the decision not to commission a further series. Seven celebrities battle through the wilds of Southern Africa on an uncompromising 12 day survival expedition. They are pushed to their psychological and physical limits to see who has the heroic qualities needed to become Bear’s Mission Survivor. In Bear Grylls: Mission Survive, Les Miserables actress Samantha Barks, former Coronation Street actress Michelle Collins, choreographer and Dancing on Ice judge Jason Gardiner, Casualty actress Chelsee Healey, Grantchester actor Neil Morrissey, ex England footballer and coach Stuart Pearce MBE and Arsenal and England Ladies footballer Alex Scott, are put under extreme pressure by the adventurer and survival expert to see what they are made of. This year the expedition team confronted more terrifying challenges than ever before: surviving dangerous animals, facing a dizzying arsenal of high-octane survival scenarios and travelling further across the mountains and down to the coast. Combined with ever changing weather conditions – from the harsh African sun to torrential rain and bitterly cold nights – this journey is the toughest Bear has ever set for celebrity survival rookies. Bear Grylls: Mission Survive TV series cancelled by ITV; no third season to come. Image via ITV. What do you think? Are you a fan of the Bear Grylls: Mission Survive TV series competition? Do you think ITV was right to cancel it, or should it have been renewed for a third series? More about: Bear Grills: Mission Survive: canceled or renewed?, Bear Grylls: Mission Survive, ITV TV shows: canceled or renewed?